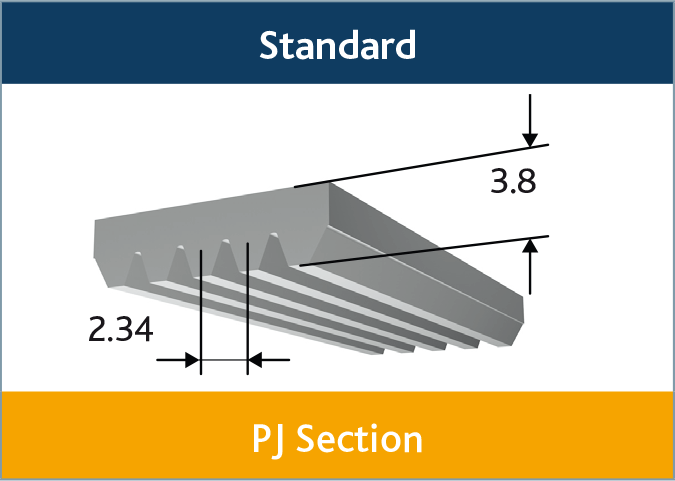 Poly V multi-V cross section belts with longitudinal V-shaped ribs. May have non-truncated or truncated ribs. Popular sizes only stocked. Please enquire. More lengths available in PJ section. Please ask if the size you require in not here.